Ghana is one of 11 countries that have benefitted from a Primary Health Care Performance Initiative (PHCPI) to identify measurement gaps in its health care system. The initiative is a partnership among the Bill & Melinda Gates Foundation, World Bank Group and World Health Organisation, in collaboration with Ariadne Labs and Results for Development. The PHCPI developed ‘Vital Signs Profiles’ to provide country-by-country snapshot of primary health care, highlighting where systems are strong and where they are weak, to enable leaders to identify problem areas and make improvements over time. The Vital Signs Profiles are a new measurement tool that policymakers, donors, advocates and citizens can use to better understand, and ultimately improve, primary health care around the world. Countries from around the world joined the PHCPI to launch the Vital Signs Profiles on the sidelines of the Global Conference on Primary Health Care held in Astana, Kazakhstan. With the data and insights that the Vital Signs Profiles provided, countries could understand where their systems were weak and take concrete steps to improve them, said Dr. Tedros Adhanom Ghebreyesus, Director-General of the World Health Organisation (WHO). He emphasised that primary health care was the most important step that countries could take to achieve health for all. “The process of developing the first set of Vital Signs Profiles has started important conversations in countries about what it will take to achieve health for all,” said Beth Tritter, Executive Director of PHCPI. The Senior Director of Health, Nutrition and Population at the World Bank Group, Dr. Tim Evans, noted that significant data gaps made it hard to see where primary health care was falling short and the data that existed were often of poor quality or difficult to understand and use. “Lack of measurement has made the condition of primary health care invisible to the public and to leaders,” said Dr Atul Gawande, Executive Director of Ariadne Labs. “It is essential to make the invisible visible,” he added. 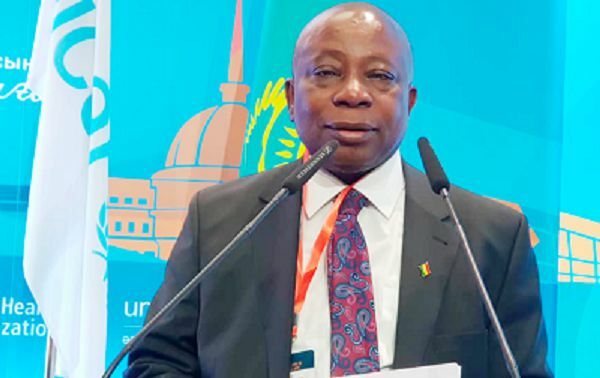 In his remarks, the Minister for Health, Mr. Kwaku Agyeman-Manu, said the Vital Signs Profile had helped the country to access the performance and identified gaps in its primary health care system. “Looking at the data we have now, Ghana has made modest progress but we still have to improve our performance.” he said. Mr. Agyeman-Manu said the profile showed that government spent 72 per cent of its health spending on primary health care, adding that that formed 32 per cent of the overall expenditure. “The access index also indicates that service coverage is 55 per cent, which is slightly low so we must work to improve access to health care,” the minister added. The Deputy Director of the PHCPI, Jeff Markins, said primary healthcare measurement had been neglected in many ways, hence the need to design a tool for countries to comprehensively capture data. The PHCPI, which began in 2015, was working with 20 countries but the ‘Trailblazer’ countries are the ones with profile measurements that can ultimately be used in improving primary health care for their people and communities. The 11 low and middle-income ‘trailblazer’ countries include Malaysia, Argentina, Sri Lanka, Nepal, South Africa, Senegal, Rwanda, Kenya, Cote d’Ivoire and Burkina Faso. Ghana, he added, was one of the first countries that got all the data required and took a leadership role in collecting, analyzing and compiling the data. The Vital Signs Profiles offer information about country context and outcomes in four categories, which are financing, capacity, performance and equity.